The Mercedes Benz C-Class is currently the second best selling mid-sized luxury vehicle, behind only the BMW 3-series sedan and 4-series coupe. But just because you are in the top three selling cars in a particular category, does it automatically mean your car is good? 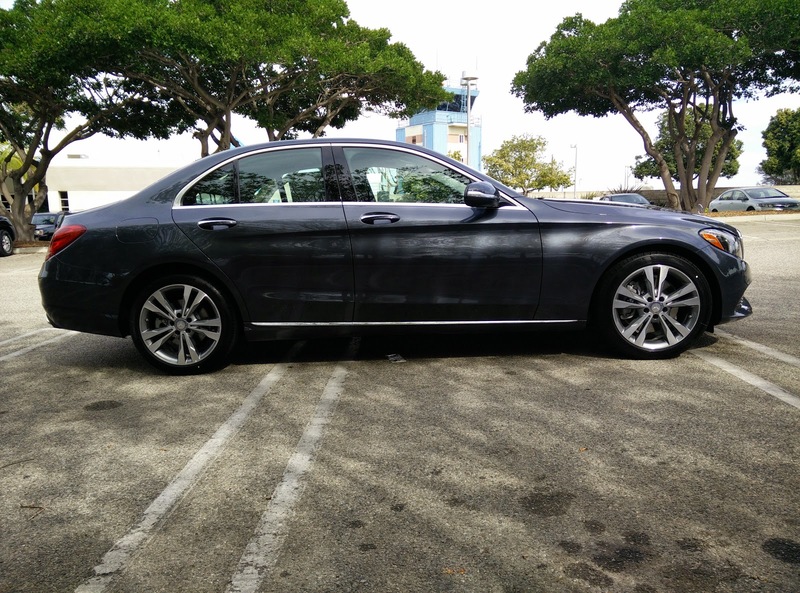 Both East Brother and I have driven various forms of the previous generation C-Class sedan, and with the exception of the C63 AMG, all have been pretty unremarkable. 2015 marks a completely new redesign of the C-Class with an new exterior and interior design, new engines, and lots of new tech. Can this all new model make a serious impression on me, unlike the forgettable previous generation? 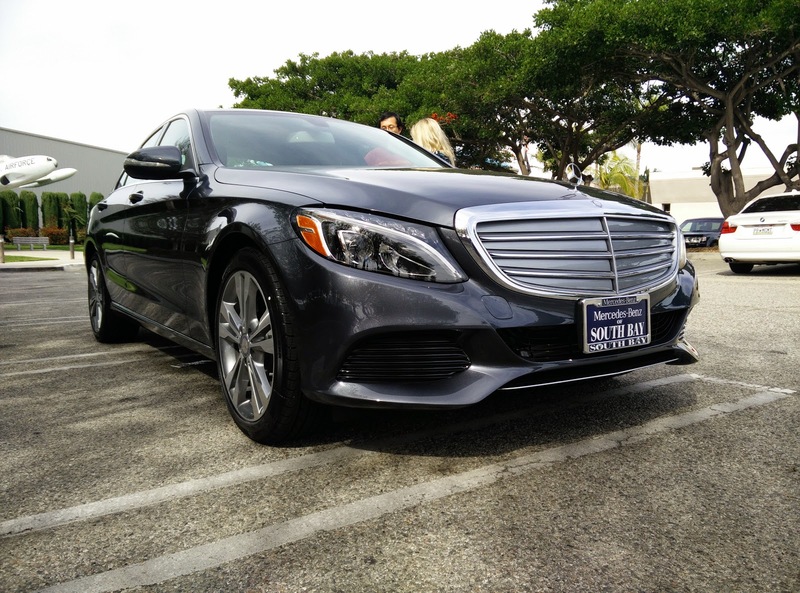 Like many of the luxury car manufacturers out there today, we had a tough time finding a C-Class that was equipped the way we wanted it to be because it seemed almost every model on the lot had a different equipment set. There are options galore on this car and that means you will either need to be extremely lucky to find one equipped to your liking, or you will need to order one to get exactly the equipment that you want. 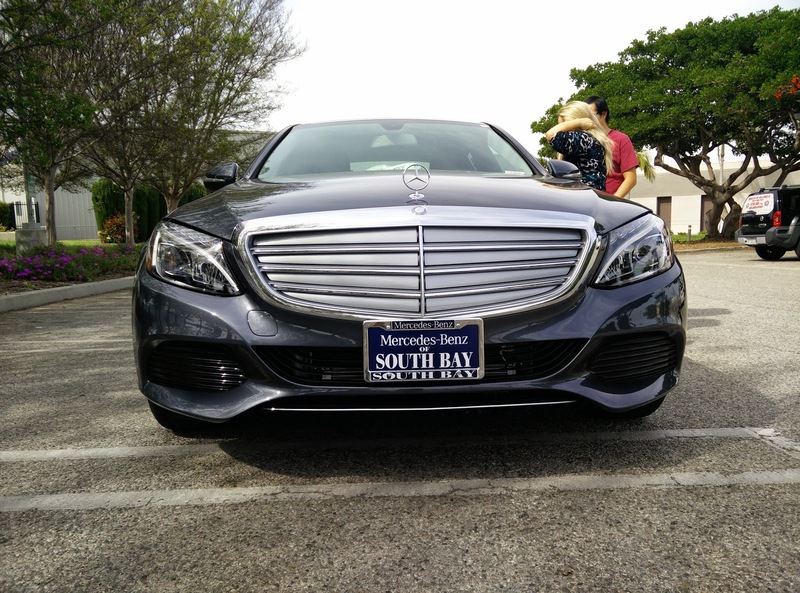 Eventually, we found a black C300 Luxury model that came pretty close to what we were looking for equipment wise. When East Brother and I arrived at the dealership, the salesperson who helped us summed up the new C-Class' look in the simplest way possible: it looks like a baby S-Class. The current generation of the S-Class has been around since 2013 so it makes sense that Mercedes would work with an existing design. The Luxury model also adds the Mercedes Benz three pointed star on the hood of the car, which just makes it look even more like a baby S-Class. Simply put, it is a very conservative, almost stern, look. You can see some evolution from the previous generation's appearance, but I would hardly call the look "revolutionary." To me, everything forward of the trunk looks quite good. The rear portion of the car looks too short and stubby from the side. I guess that is what happens when you take the design of a massive luxury barge and try to squeeze it down to mid-sized proportions. Despite the odd proportions though, there is one cool feature that is only available on the Luxury trim: active grille shutters. In the picture, you will notice that the grille opening is covered by slats. Once the engine is turned on, the slats open up. It is one of those trick details that ends up being a real differentiator in this class. If there is one thing I definitely have to give Mercedes Benz credit for, it is their interiors. 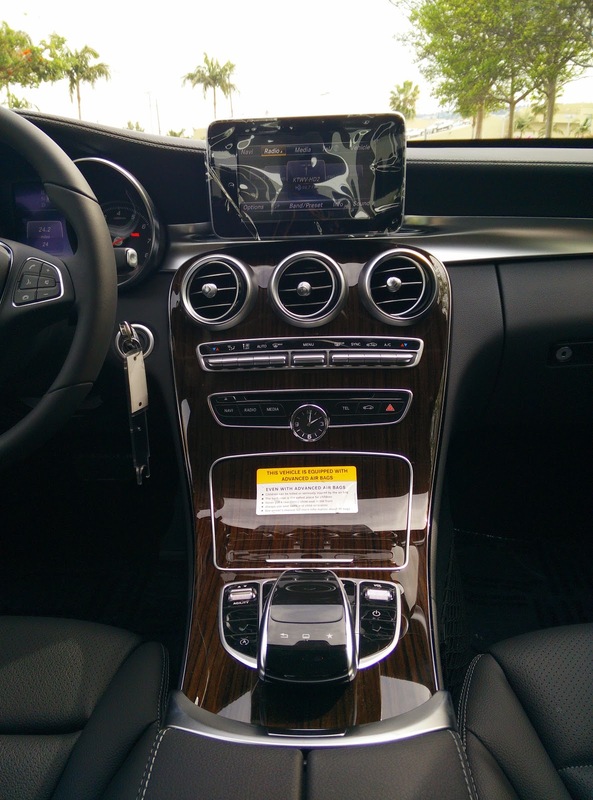 The interior of this particular C300 actually looks and feels like it belongs in a $40,000 car, just as it should. All of the plastic panels and leather looks like it was all constructed from high quality materials. Even the wood looks like the real deal. I might have to attribute the quality looking and feeling interior to the fact that we were in a Luxury model, and not a Sport one. As I look at the images of the Sport version of this car, it definitely looks like the interior takes a bit of a dip in material quality. If anything, Mercedes should just carry the quality of the Luxury trim across the entire line-up. Oh, and what the heck gives with the tacked on looking navigation screen? Why do the German luxury manufacturers think this is an attractive way to go? While we are on the topic of the navigation, I can safely say that the new touch pad/control dial setup is much easier to navigate than the old dial based system. With the previous system, it felt like Mercedes was trying too hard to mimic both BMW's iDrive system and Audi's MMI system. Everything was controlled by one central dial and a series of buttons surround the dial. It was kind of clunky, unintuitive, and a huge distraction while trying to make adjustments while the vehicle was in motion. Response time for the older system was also quite sluggish. This new system, with its unique touch pad, is still pretty distracting to use. At the very least, the system's response time is much quicker though. Plus, the touch pad means less buttons on the center console, which gives it a clean and sleek look. Regardless of which trim of the C300 you pick, it will come with the 2.0 liter turbocharged inline-four. This engine makes a very healthy 241 horsepower and a whopping 273 lb./ft. of torque. Well, at least the specs sound good on paper. During our test drive, I had a difficult time believing the torque figure. Acceleration felt pretty sluggish at lower RPMs, possibly due to a combination of turbo and throttle lag. The spec sheet says all 273 lb./ft. of torque is accessible at a very low 1,300 RPM, but it just did not feel like it. If there are two factors I would have to blame, they would probably be turbo/throttle lag and the older seven-speed automatic gearbox. If you really want to get the most of out this engine, you will have to step on it pretty hard, otherwise it will feel pretty unresponsive in normal driving conditions. Personally, I was not a huge fan of the sound the engine made either. 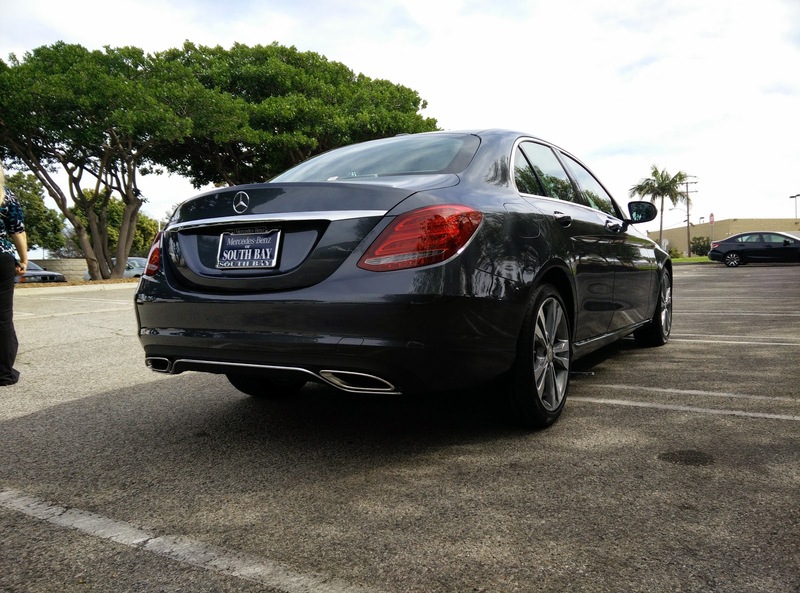 Unlike the BMW 328i's engine or the Volvo S60's engine, the C300's engine sounded a touch harsh if you pushed it. Being the Luxury trim, I pretty much expected handling to be average at best. I was sort of right. It is pretty obvious that Mercedes tuned the suspension in the Luxury trim to be more on the comfortable side than the sporty side. Driving over a particularly rough patch of road during the test drive, it certainly felt like the suspension soaked up the bumps and potholes far better than some of the other cars we tested that day. What surprised me was that in their effort to make the ride more comfortable, Mercedes also managed to not turn the C300 Luxury into a body-rolling mess. It obviously does not corner as flat as its sportier competition, but at least it gets the job done reasonably well. I do wish I could say the same of the brakes and steering though. When braking, I often felt like I had to push down harder on the pedal than I was expecting to. This made getting the car down to a full stop a bit nerve wracking the first few times. Even after I had gotten used to the braking feel, I still wish the brakes offered a more progressive feel. As for the steering? It was pretty lousy. Changing the different drive modes seemed to just make the steering heavier, but felt like it had little effect on anything else. At no time during the test drive could I really clearly sense what the front wheels were doing. Even so, the new C-Class is not a bad ride. The overall exterior design is attractive, the interior is excellent, and the drive is only just below par when compared with the rest of the vehicles in this class. I think the most surprising thing about this car though is the price. This particular model we test drove had more equipment than the comparable BMW 328i we tested, yet manages to come in at nearly $5000 less. While it certainly is not the best bang for the buck in the class, I do have to applaud Mercedes Benz for finally not egregiously overcharging customers for every little thing. So what do I think of the C-Class now? I will say that this new model is a huge improvement over the previous generation. It looks much better from certain angles, the interior actually looks and feels like it belongs in a car of its price, and its straight-line performance has been greatly improved. Still though, the C-Class is not my particular cup of tea. The weird acceleration characteristics, iffy brakes, and lack of any steering feel really turn me off to this car. I will admit that I am curious as to what AMG will do with this car though. The C63 AMG sedan that I drove last year was an absolute riot, despite being based off the inferior previous generation platform. I guess we will find out soon enough.